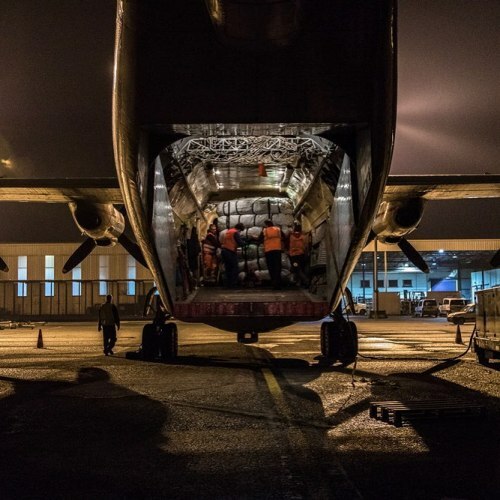 “Last week, a fully #MSF chartered flight was sent from #Ostend, #Belgium, to the Greek island of #Lesbos carrying tents and water and sanitation material. The cargo will be used to cover the immediate needs for shelter and hygiene facilities on the islands of Lesbos and the #Dodecanese, which are currently overwhelmed due to a lack of reception facilities for the increasing arrivals of #refugees and migrants. The shipment includes 40 tents, shade nets and plastic sheeting, seven water tanks, 12 water distribution kits, 40 latrines and other water and sanitation material. Most of the material will be used for supporting refugees’ needs in Lesbos, while 10 tents, two water distribution kits and two water tanks will be sent to the MSF team that is based in Kos. © Borja Ruiz Rodriguez/MSF” By doctorswithoutborders on Instagram.